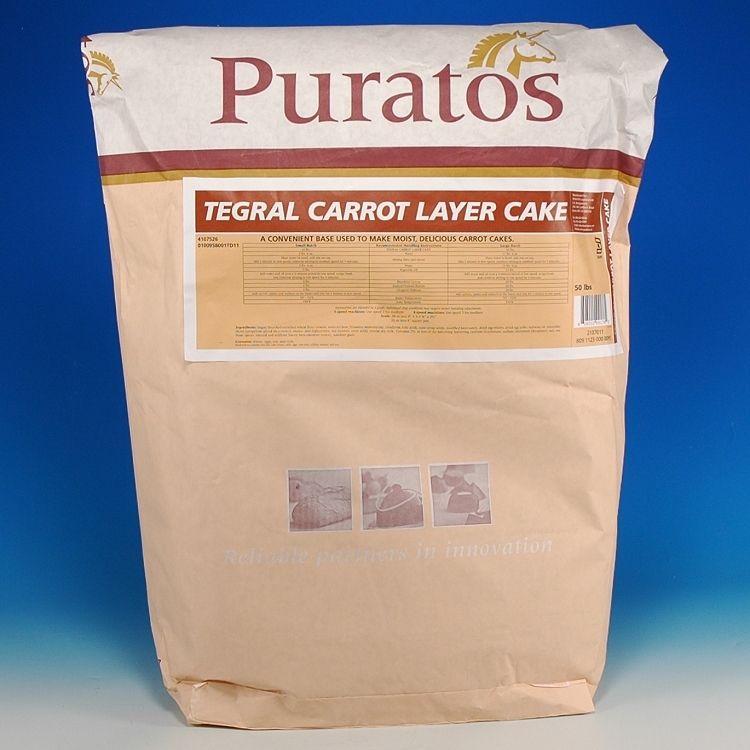 Tegral Carrot Layer Cake Mix, is quick and easy with delicious results ! A convenient base used to make moist, delicious carrot cakes. Mix Tegral Carrot Layer Cake Mix with Water 1st stage. Mix for 1 minute on low speed, continue mixing on medium speed for 3 minutes. Add Water 2nd stage. Add vegetable Oil. Mix for 1 minute of low speed. Bake at 350F degrees until golden brown.